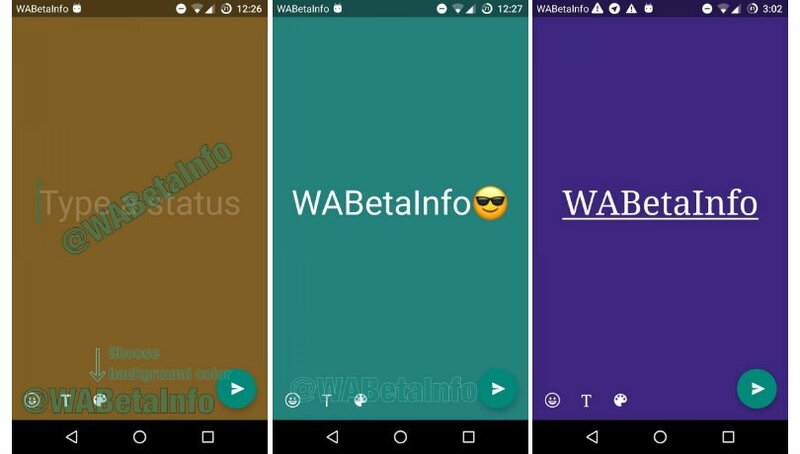 Facebook-owned WhatsApp has constantly been working on adding new features to the messaging platform, and there are two new features making its way to the beta version of Android. Live location sharing feature that was hidden in the previous beta built is likely to go public, along with a couple of other features. 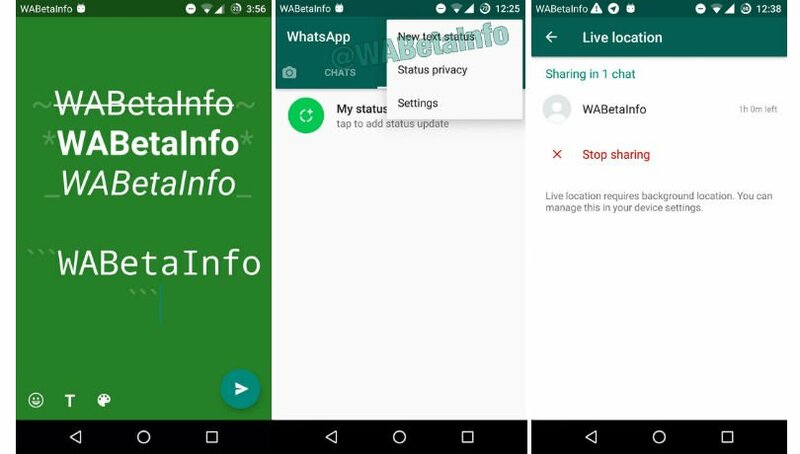 Reported by WABetaInfo, WhatsApp has submitted the new version — 2.27.213 — on the Google Play Store. The live location feature can be enabled inside Privacy settings, and as the name suggests, it will allow you to broadcast your live location with your contacts. The feature can come handy from a security point of view, by allowing your contacts to track your location in real-time. The beta version also comes with an ability to send text status updates to your contacts using the ‘new text status’ option. It can be found under Status -> Privacy settings. That’s not all; WhatsApp will also let you customize your text statuses by adding background colors, inserting emojis and by adding two types of fonts. You will also get an option to format text in — bold, italics and strikethrough, or even add FixedSys font. Besides these, WhatsApp has also been working on a feature that will let you ‘unsend’ accidentally sent messages. We have already seen the working of this feature in the previous beta build using a root hack, but the feature is yet to become available for the users. Recent updates also separated the voice call and video call buttons, added the ability to share multiple contacts at once, pin chats on top and more. According to recent numbers released by WhatsApp, India leads the world with 50 million video calling minutes per day. And with about 200 million monthly active users, WhatsApp is also looking to integrate UPI-based payments solution into the messaging app. This will enable users to make cashless payments to other WhatsApp users.